Thats all. Game finished - SK Rapid Wien 0, Inter Milan 1. Second Half ended - SK Rapid Wien 0, Inter Milan 1. Lautaro Martínez - Inter Milan - won a free kick in attack. New attacking attempt. Andrei Ivan - SK Rapid Wien - shot with right foot from outside the box is saved in the left corner. Assist - Dejan Ljubicic. Kwadwo Asamoah - Inter Milan - won a free kick in defence. Antonio Candreva - Inter Milan - receive yellow card for a foul. Stefan Schwab - SK Rapid Wien - won a free kick in attack. Danilo D'Ambrosio - Inter Milan - receive yellow card for a foul. Andrei Ivan - SK Rapid Wien - won a free kick on the left wing. New attacking attempt. Borja Valero - Inter Milan - shot with right foot from the centre of the box is saved by goalkeeper in the centre of the goal. Assist - Antonio Candreva. Marvin Potzmann - SK Rapid Wien - receive yellow card for a foul. Lautaro Martínez - Inter Milan - won a free kick on the left wing. Substitution - Inter Milan. Danilo D'Ambrosio for Radja Nainggolan. Substitution - SK Rapid Wien. Thomas Murg for Veton Berisha. Cédric Soares - Inter Milan - receive yellow card for a foul. Andrei Ivan - SK Rapid Wien - won a free kick in defence. Missed chance. Radja Nainggolan - Inter Milan - shot with right foot from outside the box missed. Substitution - Inter Milan. Antonio Candreva for Matteo Politano. Missed chance. Radja Nainggolan - Inter Milan - shot with right foot from the centre of the box is close, but missed. Assist - Ivan Perisic. Radja Nainggolan - Inter Milan - won a free kick in defence. Christoph Knasmüllner - SK Rapid Wien - won a free kick in attack. Corner - SK Rapid Wien. Conceded by Samir Handanovic. New attacking attempt. Christoph Knasmüllner - SK Rapid Wien - shot with right foot from the centre of the box is saved in the top right corner. Assist - Veton Berisha. Substitution - SK Rapid Wien. Christoph Knasmüllner for Srdjan Grahovac. Shot blocked. Philipp Schobesberger - SK Rapid Wien - shot with right foot from outside the box is blocked. Assist - Andrei Ivan. Radja Nainggolan - Inter Milan - won a free kick on the right wing. Lautaro Martínez - Inter Milan - receive yellow card for a foul. Maximilian Hofmann - SK Rapid Wien - won a free kick in defence. Missed chance. Matías Vecino - Inter Milan - shot with the head from the centre of the box is very close to the goal. Assist - Matteo Politano with a cross . Veton Berisha - SK Rapid Wien - receive yellow card for a foul. Kwadwo Asamoah - Inter Milan - won a free kick in attack. Shot blocked. Matteo Politano - Inter Milan - shot with left foot from the left side of the box is blocked. Substitution - SK Rapid Wien. Philipp Schobesberger for Manuel Thurnwald. Delay in match Lautaro Martínez - Inter Milan - - injury. Maximilian Hofmann - SK Rapid Wien - receive yellow card for a foul. Lautaro Martínez - Inter Milan - won a free kick on the right wing. Second Half starts SK Rapid Wien 0, Inter Milan 1. First Half ended - SK Rapid Wien 0, Inter Milan 1. Offside - SK Rapid Wien. Dejan Ljubicic with a pass, however Veton Berisha is in offside. Shot blocked. Dejan Ljubicic - SK Rapid Wien - shot with left foot from the centre of the box is blocked. Missed chance. Lautaro Martínez - Inter Milan - shot with left foot inside of six yard box - left side is close, but missed to the left after corner. New attacking attempt. Lautaro Martínez - Inter Milan - shot with right foot from the centre of the box is saved in the top centre of the goal. Corner - Inter Milan. Conceded by Maximilian Hofmann. Offside - SK Rapid Wien. Andrei Ivan with a pass, however Veton Berisha is in offside. Goal! SK Rapid Wien 0, Inter Milan 1. 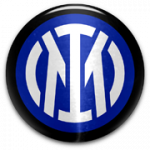 Lautaro Martínez - Inter Milan - converts the penalty with a shot with right foot to the centre of the goal. Penalty conceded by Manuel Thurnwald - SK Rapid Wien - after a foul in the penalty area. Penalty Inter Milan. Lautaro Martínez draws a foul in the penalty area. 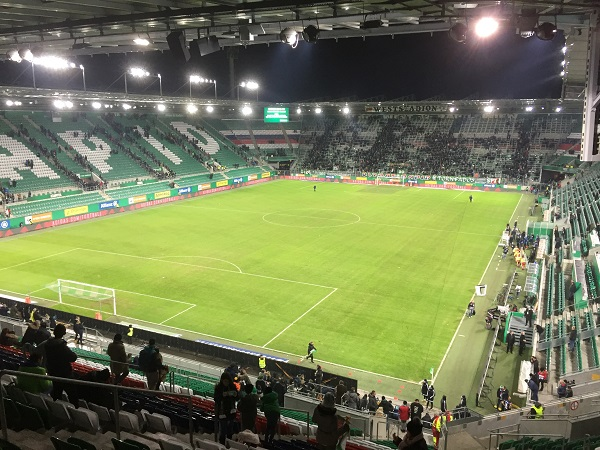 Delay in match Mario Sonnleitner - SK Rapid Wien - - injury. Corner - SK Rapid Wien. Conceded by Ivan Perisic. 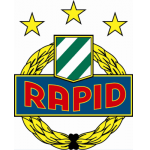 Corner - SK Rapid Wien. Conceded by Cédric Soares. Stefan Schwab - SK Rapid Wien - won a free kick in defence. Kwadwo Asamoah - Inter Milan - won a free kick on the left wing. Shot blocked. Radja Nainggolan - Inter Milan - shot with right foot from outside the box is blocked. Assist - Ivan Perisic. Shot blocked. Borja Valero - Inter Milan - shot with right foot from outside the box is blocked. Corner - Inter Milan. Conceded by Boli Bolingoli-Mbombo. Cédric Soares - Inter Milan - won a free kick on the right wing. Missed chance. Ivan Perisic - Inter Milan - shot with right foot from outside the box is high and wide to the left from a free kick. Mario Sonnleitner - SK Rapid Wien - receive yellow card for a foul. Radja Nainggolan - Inter Milan - won a free kick in attack. Missed chance. Matías Vecino - Inter Milan - shot with right foot from outside the box missed to the left. Assist - Borja Valero. Missed chance. Matteo Politano - Inter Milan - shot with left foot from the centre of the box is close, but missed.